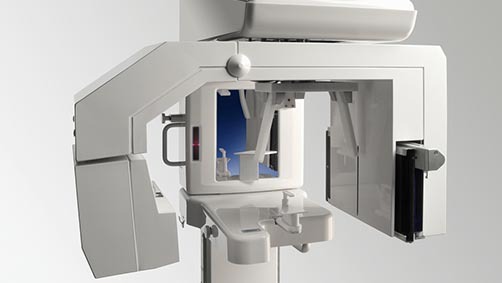 The Panorex is a very impressive piece of imaging machinery that is capable of identifying many issues and structures that a normal x-ray cannot. The Panorex rotates around your entire head taking a full 360 degree x-ray of the teeth, head, sinuses and bones while you simply sit in a chair with your chin on a ledge! The ability to view the full structure of your head as a whole is very informative to the dentist. It will allow us to see any potential problems and make sure that everything is functioning as it should be. The Panorex is capable of viewing specific types of structural problems, infections, asymmetry, or other similar issues.